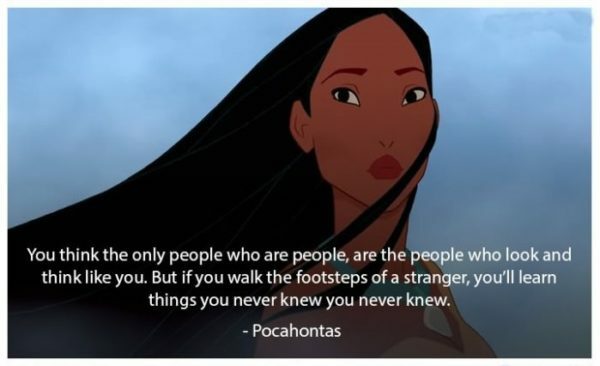 These 10 BEAUTIFUL Disney Quotes will Make You REMEMBER what YOU Truly Stood for as a Kid! We all grew up with Disney cartoons. They showed us a place full of magic and wonder. They made the world we grew up a little more beautiful and I am extremely grateful for this. As grownups now, we act more serious. We act as we know what the hell we are doing but we have no freaking idea. We start to see the ugly side of the world, the companies and businesses and the dirty games they play to get money. We do not care about cartoons anymore we care about the people who make the cartoons and their agendas. We are losing faith in something deep down we know is beautiful and right, but on the other hand, we may have been manipulated to think this way. We are losing faith in everything we ever stood for. We are losing faith in ourselves. Do you know why buddy? Because we are not really grown up, we just act like it. We try to fit into the world doing the right thing but we have no idea what the right thing really is. We guess, we read, we see what others do and copy them. And no matter what we do it seems we offend someone or we are judged by someone. We take the responsibility of being a grown up, but deep down we have no confidence. We have no idea what to do. That’s why we are scared and act so serious. To be a grown up does not mean to be serious, it has nothing to do with being serious buddy. Being grown up, really being a grown up, means to follow your heart’s truth no matter what the world thinks. To act on it. To not look for yourself but live through yourself. To not live as if the world is happening to you but as if you are happening to the world. It does not mean to not have fun, the point of life is to have fun. When you are really a grown up you will be more childish and playful than many actual kids. You will follow your purpose and heart without questioning your goodness. Now we will try to bring your faith in magic and wonder back into your heart. 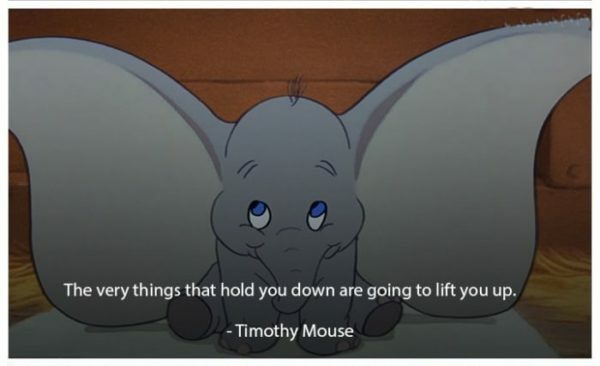 These 10 BEAUTIFUL Disney quotes will remind you what you truly stood for as a kid! The one real superpower we have is the power of choice. Our free will to make our own choice. Every single moment you have a chance to change your story, you just have to find the courage inside you. 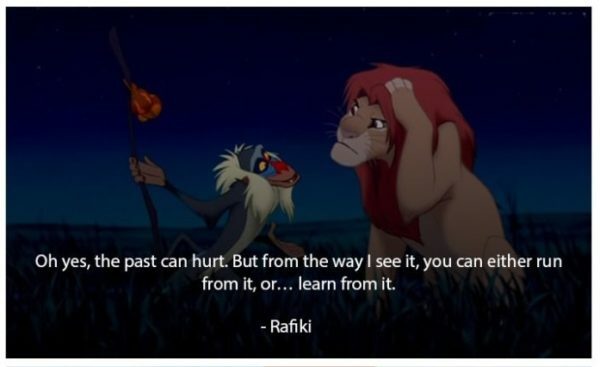 We all have pain in our past, that’s a part of living. If you love you will get hurt. But these hurts teach us the most valuable lessons. Transmuting these hurts with love, honest love, creates the most beautiful fruits we give. Running from this pain will only make you recreate it over and over again because you really need to learn. Everything is possible. 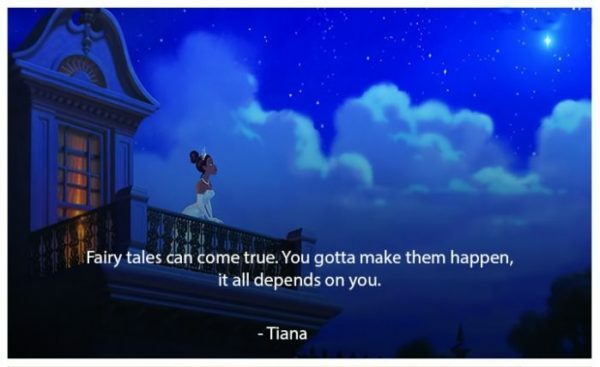 If you are able to believe in fairy tales, if you REALLY believe in them and act to make them real, you will make them come true. And in the end of the day is not whether you succeed or not. Your life will be immensely more magical anyway. A garden of beautiful flowers is a privilege of Nature, it’s priceless. 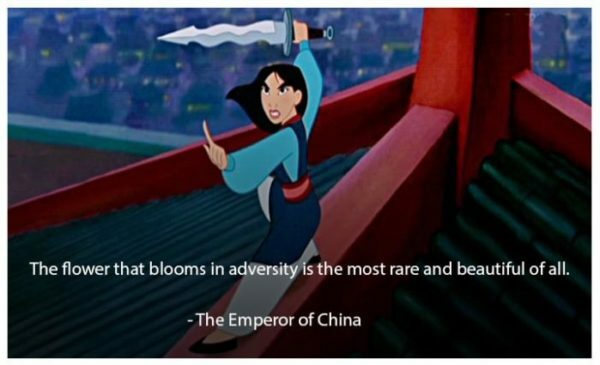 But a flower in the middle of a desert can change your life. To be who you are in a world which constantly finds excuses to tell you otherwise is to be that flower which gives hope to the ones lost in that desert. There is something much bigger than we can ever comprehend. We are a part of much larger picture, much larger spirit. Everything is connected to each other. We are a part of Nature not on top of Nature. If we actually start to observe other species so we can learn from them, we will learn something we never knew we never knew. 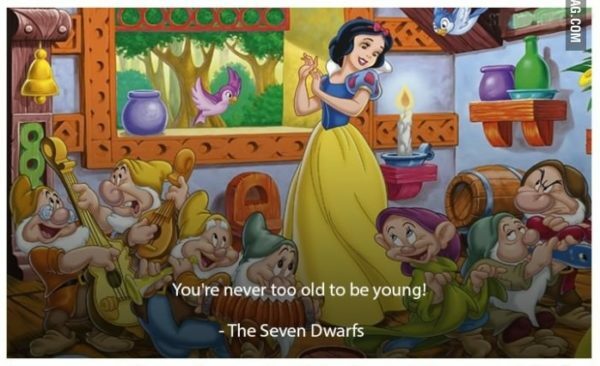 Being young has nothing to do with years and age. It is an essence coming from your heart. It is joy to be foolish, to accept that there is so much you don’t know, to play, have fun, dance, laugh, sing, to be honest and real, to love unconditionally and to believe in wonder. That’s who you really are at the core of your being. Give time to time. Nothing happens overnight. Believe in your dreams, act upon them and do your best to make them real, even when it seems you are not even close. Do not let the distance make you forget how much you’ve been through, nor how much your dreams mean to you. Yeah, we are all one. But some people, some pieces of that oneness mean so much to us. There is something beyond the oneness we are all a part of and these individuals give us a glimpse from it, because when we are with them there is a whole different oneness we observe, or maybe we are just looking at the same oneness from the other side. 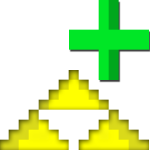 No matter what this is creating a whole new world between, a world created by the unity of both sides of the oneness. 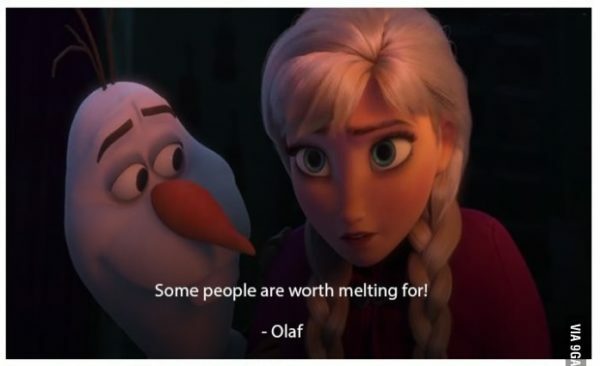 This people are truly worth melting for. Your “flaws” the things you are most self conscious of are actually your super strengths in disguise. They are your wings, your freedom to live the life you want to live. But you must accept them. You must accept yourself and everything that you find is a part of you. Be proud of those things. Be REALLY proud, for you not for anybody else. As we live our life we become comfortable and we build fences around this comfort zone. Everything that is outside of it is unknown. We are afraid of it. 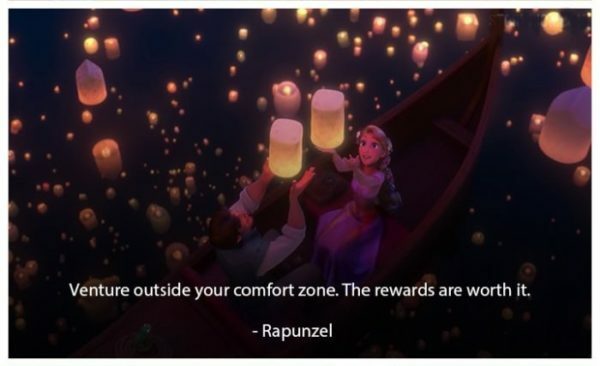 But oh, how much of a glimpse your comfort zone is compared to the world outside of it. 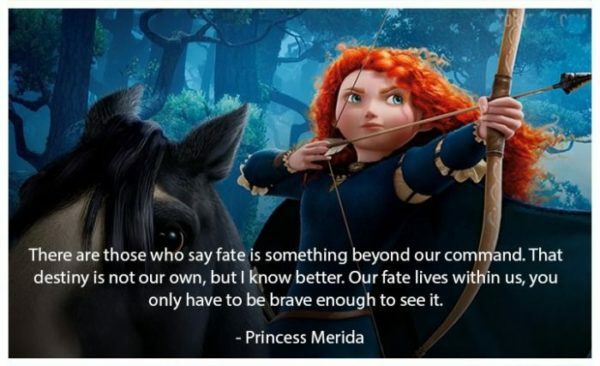 Find your courage. Get out of your comfort zone! 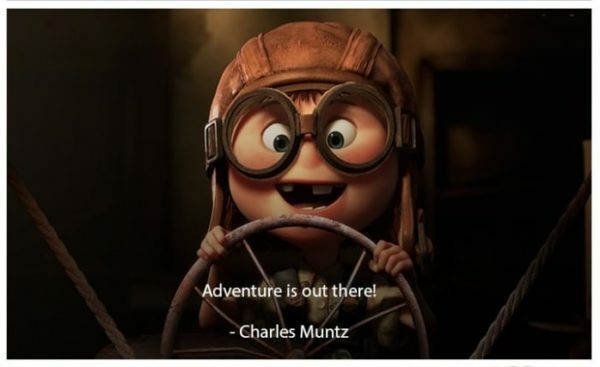 Explore the unknown and you will discover things you could have never imagined. Your dreams are not inside your comfort zone. Chase them. So what if it is dangerous and scary. The most dangerous places to be is the comfort zone. It kills your light. We will all die one day but rare are those who will truly live. Life is about chasing your dreams. Do not be scared to make your dreams come true. That’s how you grow. That’s when you’ll dream new dreams. That’s the point of life. That’s your purpose. We desperately search for that magic and wonder we grew up with but as much as we learn as less magic and wonder there is. We each fight our demons made up by the magic we have destroyed. The truth is there is no magic outside. It never was. Magic and Wonder were never outside of us, it is us who need to bring magic and wonder outside. 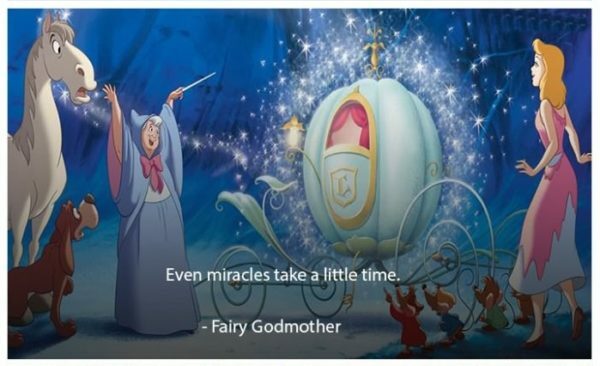 It’s you who created that magic by believing that everything is possible. Just like colors would not exist if we do not have organs to sense them, magic and wonder would not exist if we shut our heart to them. So believe again buddy. Forget about everything else and trust yourself. You make the rainbow.